Christine has been a registered massage therapist since 2004, and after working at different clinics she found that Claudia Salzmann & Associates was the ideal location for her. Claudia Salzmann & Associates has provided Christine with the perfect environment to strengthen her massage therapy skills, and has also provided her with the ability to add aquatic massage therapy, and stone massage therapy to her repertoire. After working at the clinic for over twelve years, she was thrilled for the opportunity to take over ownership in December of 2016. 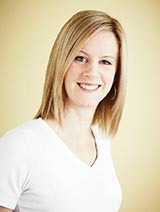 Christine has a broad range of clinical experience in massage therapy including treatment of young mothers and infants at Humewood House and Women’s College Hospital, seniors clinics, fibromyalgia clinics, HIV patients at St. Michael’s Hospital and disabled adults and children at Variety Village. With her experience and her broad range of skills, Christine offers a massage that is totally customized to the specific needs of her clients. No matter how specific the focus of a particular treatment, Christine feels it’s important to provide the client with a massage that offers a deep sense of relaxation.